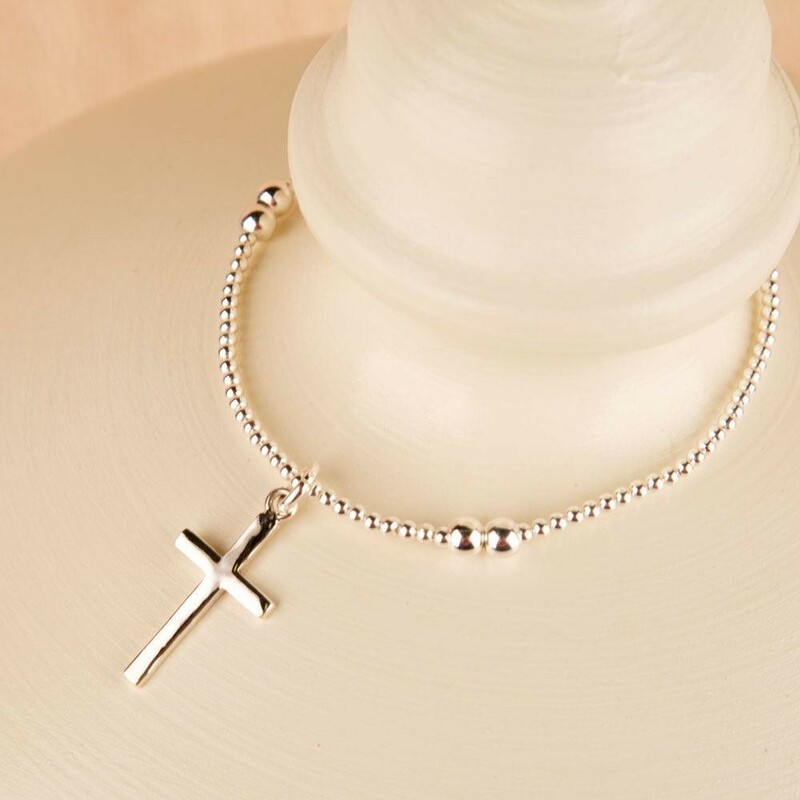 This beautiful silver bead bracelet with a delicate silver cross charm is a lovely keepsake gift for her that can be worn everyday. Threaded on elastic, this bracelet will fit most adult wrists. 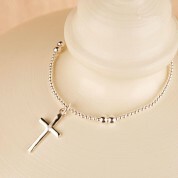 It makes a lovely gift for a special occasion like a wedding or 1st Holy Communion or another religious occasion. The timeless design means it will be treasured for many years to come. 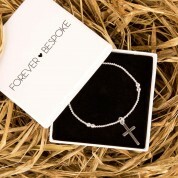 It is presented in a branded gift box so can be stored away safely when it is not being worn. Dimensions: approx 19cm in length, initials measure approx 14mm.